If you’re time poor, run a family or work long hours, you will know how hard it can be to get a full work out. This is why we have designed these handy 15 minute workouts to build muscle and keep it toned. A 15 minute effort is nowhere near as tiring or time-consuming as an hour long swim or a ten kilometre run. In addition to the benefits of a shorter time period, these workouts are as simple, and effective, as possible. 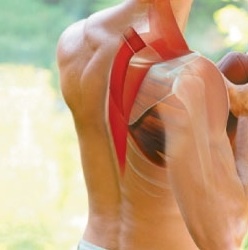 Boost your arms in a short amount of time with these great tricep workouts. You probably know that your triceps comprise more of you arm than your biceps, but most people still pay much less attention to them. 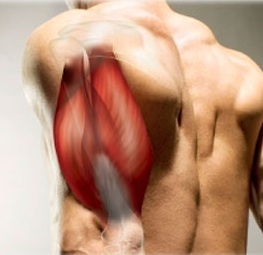 The equaliser: recast familiar exercises as arm builders. You won’t skip exercises that you already do and these variations will help pump up your arms. Build muscle and manage your midsection with these drills. Squeezing in a fast little workout leaves little time for your trunk. But with this challenging regimen, you'll train your torso, building a stronger stomach and sturdier spine. Complete these four exercises, rest for 45 seconds, then repeat twice. Do this three times a week. Add energy to your leg workout with these smart upgrades. Here's a new way to build muscle with a barbell: place it on the floor and lunge over it. This hurdle corrects a mistake commonly made in lunges. "Most men don't step our far enough and they push of sluggishly rather than explosively," says Scott Mendelson, CEO of Infinity Fitness. 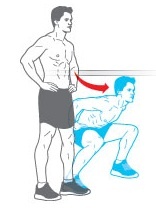 "Lunging over the bar instantly improve technique." As a result, you train your glutes and hamstrings harder. Do this workout 2-3 times a week. Leapfrog your competition with a four-pack of exercises. Want to clear the ground like a plan surging from the runway? 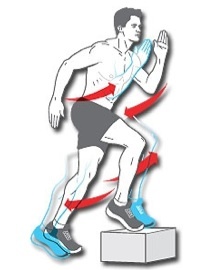 Then master all four phases of jumping: countermovement, propulsion, flight and landing. "Most men neglect countermovement - the initial downward phase," says strength and conditioning specialist Robert dos Remedios. Dip down, lean forward and use your arms. And give yourself extra lift by performing these four exercises. Go hard for 30 seconds - and don't count reps. This routine tests your willpower, says strength coach C.J. Murphy. Start with three sets of six reps of the clean and press. 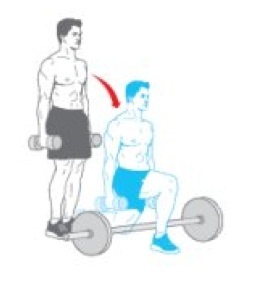 Then do the next three moves in succession, with one twist: don't count reps. Instead, do as many reps of each as you can in 30 seconds. Rest for 30 seconds between exercises, and repeat the three-move sequence once or twice. Press "pause" for more muscle. This stop-and-go routine adds resistance throughout your range of motion by interrupting momentum at various power points. By pausing, you recruit more muscle fibres, making each repetition harder. As a result, you'll strengthen weak spots and spur new muscle growth. Shed fat fast with this quick stair workout. This workout combines strength exercises with cardiovascular drills to build muscle and burn kilojoules. The only gear you need is a staircase or bench. See you at the top. Lay the foundation for muscle growth with a versatile training tool - the power cage (also known as a squat track). Most men shy away from the power cage, so you won't have to wait in line to use it. You'll improve your strength, mobility and endurance with this simple routine. Do the workout three times a week, resting for at least a day between sessions. Three classic moves for a stronger body. Powerlifters focus on just three exercises (the ones you see here), but they still train major muscles and move thousands of kilos during a single workout. "The key is pushing yourself on each lift," according to strength and conditioning coach Mike Robertson. Sculpt and injury-proof your body from head to toe with these four muscle builders. "Most men spend time training what they see in the mirror and neglect their back, rear shoulders, hamstrings and glutes," says strength and conditioning coach Mike Mejia. But just becase you aren't looking doesn't mean she isn't. Rebalance your body with these highly effective exercises to boost those weak spots. Perform all four moves without a rest, then break for 90 seconds and repeat the circuit twice. Do the routine three times a week with at least one day of rest between each session. Burn fat and build muscle with this fast, no-rest regimen. Select a pair of dumbbells you know you can press overhed 8-10 times. Then do all four of these exercises in succession, with no rest between moves and without putting down the weights. 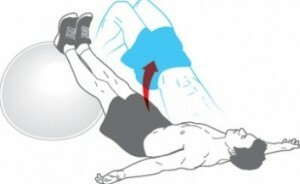 Rest for 30 to 60 seconds before repeating the sequence. Four gravity defying moves that will sculpt your body. These superhero-inspired exercises from strength and conditioning coach Mike Mejia may not enable you to leap tall buildings in a single bound, but you'll look like you can. Add explosive power to your arsenal with these four whole body drills. Build muscle and increase stamina with one fast-paced routine. Three days a week, perform this athletic sequence, courtesy of strength and conditioning coach Mike Mejia.